The beauty of going custom is that you’re in full control. You’re not limited to a narrow list of colors, patterns, or styles—instead, you get to work with one of our custom specialists to design clothing perfectly suited to your tastes and measurements. And this spring, the season’s brighter color palette gives our fabric selection bursts of distinction. Blue Europe, rust cider, yellow clover, and green willow are more than just fancy names for colors—they’re forces of inspiration. So, how do we translate that inspo into our custom garments? 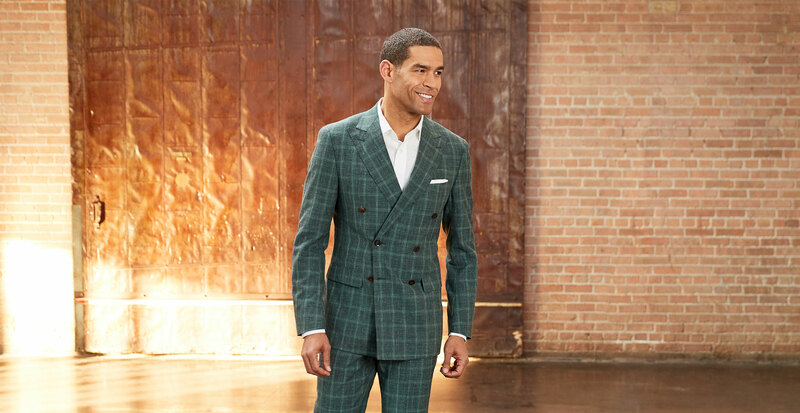 With a softly tailored, green-check double-breasted suit that brings everyday sophistication to life. Or a brown linen tuxedo, our take on luxe occasionwear. In everything we do, we’re embracing unexpected touches that inject our custom pieces with prominence. To show you what we mean, we’re sharing a preview of our Spring Custom Lookbook before we officially launch it during our Spring Style Week. To learn more about our custom offerings, simply make an appointment at one of our six Clubhouses to meet with a specialist. They’ll guide you through the process and answer all your questions in order to help you build your better wardrobe.